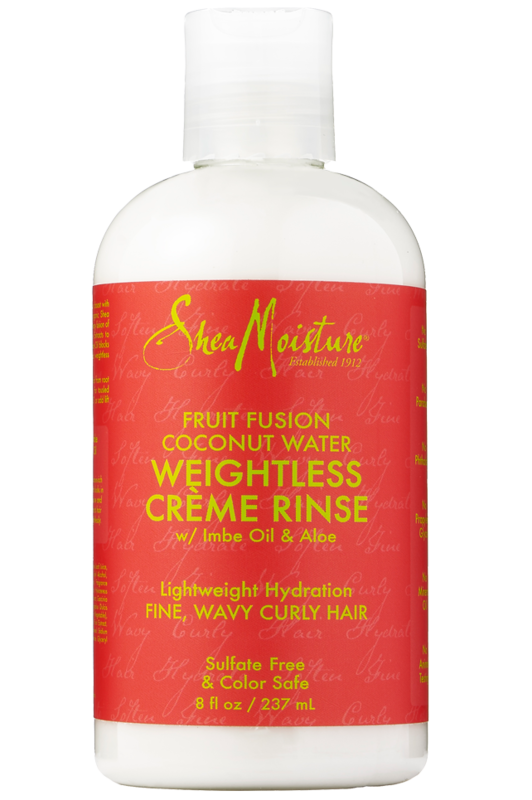 Months ago at Curly Girl Collective's Curlfest in Prospect Park, I was given a few samples from Shea Moisture's Fruit Fusion Coconut Water collection. There are 9 products in this collection, and I received the weightless shampoo and creme rinse. 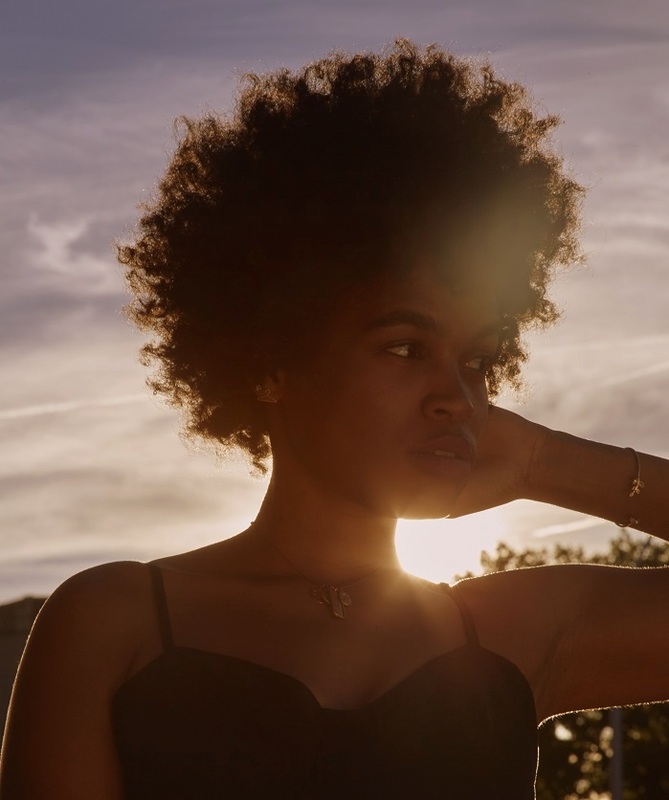 As much as I don't like using products, I was very interested in product that claimed to be light while boosting hydration and controlling frizz. With the change in weather, I could feel my hair responding to the drier air - hydration was in need. As anti-product as I am, I am super anti-shampoo so I only used the creme rinse for this review. This past Saturday was wash day, and this seemed right up my non-product alley. The Goods: After doing my apple cider vinegar clarifying rinse, I typically do a deep conditioning with olive oil - letting it sit on my hair for 10-15 mins under a plastic cap. I decided to reach for the Shea Moisture creme rinse instead. Right away I liked the lightness of the product. I could tell it would not be too sticky and would leave my hair feeling clean. And it did not disappoint! I left it on under a plastic cap for closer to 20 mins (I got distracted), and was pleasantly surprised at how light and product free my hair felt after washing it out. Also, my detangling process was almost down to nothing after using this. The apple cider vinegar does a great job of loosening coils, but I could feel a difference in my hair's softness after using the rinse. The Bads: I was a bit unsure of the fruity smell at first. Since I only use unscented oils on my hair, I am typically not a fan of smelling like a Bath & Body Works. I will say that the smell was light and not overpowering, but I would have loved for it to be unscented. The dragon fruit, lychee berry and green apple ingredients let me know this was going to be a fruit smelling product, and it wasn't as distracting as I expected. Final Words: My hair can sometimes take two days to dry after being washed. I woke up the very next morning with dry hair that wasn't super shrunk and lifeless like I am used to after wash day. Best of all, my hair was literally squeaking while putting my shea butter/grapeseed oil mixture on before flat twisting. I am used to hearing this after my acv rinse, but using any product after already starts the build up that prevents this squeaky clean feeling. 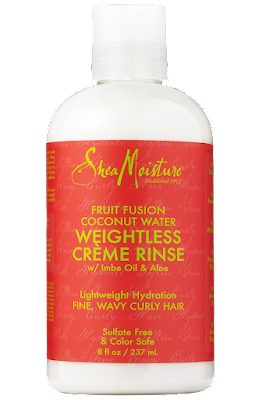 Shea Moisture really made this product light and weightless, which makes it perfect for naturals who don't want the heavy product feel. If your hair needs heavy duty product, this collection won't be for you. But if you are like me, and like to have your hair as close to bare as possible, give this line a try!